What is the deadliest mode of transportation in the U.S.? If you said trains, planes or cars, guess what? You'd be wrong. The real answer: walking. The Surface Transportation Policy Project, a national transportation reform coalition based in Washington, D.C., yesterday released the results of its latest two-year study of pedestrian safety in the U.S. -- a report called "Mean Streets 2004." The coalition said walking is "by far" the most dangerous mode of travel per mile in the U.S. The fatality rate for public transit is 0.75 deaths per 100 million miles, while the rate is 1.3 in passenger cars and trucks, 7.3 on commercial airliners -- and 20.1 for pedestrians. The rankings are based on what the Surface Transportation Policy Project calls a "Pedestrian Danger Index." It is determined based on the number of annual pedestrian fatalities per 100,000, as well as the percent of the population that commutes by walking. 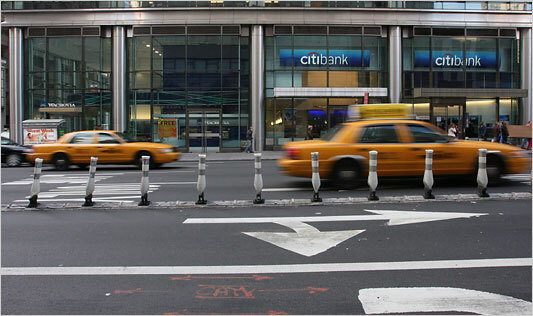 While the percentage of pedestrians killed in fatal accidents has risen nationally over the last decade, the New York metropolitan area is actually one of the safest major areas in which to walk -- fourth safest, in fact, among the largest 50 metro areas. Though "Mean Streets" found that the New York-New Jersey-Long Island metro area had the highest total number of pedestrian deaths in the nation with 395 in 2002 and 377 in 2003, it found that was because of our massive population -- about 20 million -- and because a far greater percentage of commuters in New York walk compared to those in other geographic regions. The New York metro area saw its "Pedestrian Danger Index" reduced by 11.8 percent since 1994. Though it is unclear what factors led to that, certainly new programs instituted by state and local agencies have had an effect. The study did not differentiate between New York City, where many commuters walk, and Long Island, where commuters often don't. No pedestrian death tolls were available yesterday for Long Island. Orlando, Tampa-St. Petersburg, West Palm Beach, Miami and Memphis ranked as the five deadliest metro areas for pedestrians. Cincinnati, New York-New Jersey-Long Island, Cleveland-Akron, Pittsburgh and the greater metropolitan Boston area were the five safest areas with populations over 1 million. The study also found that minorities -- specifically African-Americans and Hispanics -- were likely to die at a rate disproportionately higher than other pedestrians, though it cited no cause. According to the study, African-Americans accounted for 18.5 percent of all pedestrian deaths nationally though they represent 12.7 percent of the population, while Hispanics accounted for 16 percent of all pedestrians killed and represent 13.5 percent of the population. There were 4,919 pedestrian deaths in the U.S. in 2002 and 4,827 pedestrian deaths in 2003, according to the report. The study, now in its fifth edition, found that, while the raw number of pedestrian fatalities has decreased between 1994 and 2003, the number is misleading -- because fewer people are walking now than they were in 1994. The percent of commuters who walked declined 24.9 percent between 1990 and 2000, according to the U.S. Census. The good news for Long Island is "virtually every road project in the last 10 years" has included pedestrian and bicyclist safety measures, Department of Transportation spokeswoman Eileen Peters said. That means the inclusion of redesigned sidewalks, bike paths, color-contrasted crosswalks and other traffic-calming measures. The redesign of Route 25, Sunrise Highway and Montauk Highway in Suffolk and Hempstead Turnpike in Nassau are all prime examples of the integrated "Safe Streets" concept now used by the DOT, she said. "What these things do," Peters said, "is to create an awareness with motorists that they are sharing the road with someone else. It's not just you and your vehicle. It's you and your vehicle and people on foot and on bicycles. Mothers pushing baby strollers, skateboarders, Rollerbladers. All of us." Deaths per mile seriously distorts the risks. How many trips across the street to a deli to buy some beer will it take to get the same number of miles as flying to Florida? Obviously risks of flying are significantly higher than walking. Cellphones. It's not just people yakking in cars. And its not just cellphones. Headphones are equally if not more dangerous. In fact some poor clueless woman was run over in SOHO just a couple of weeks ago when she walked in the path of a truck that was backing up. Her music was so loud she couldn't hear the beeping warning and paid the price with her life. New York has more pedestrians than other places --some of whom have nearly none. I bet a whole lot more giraffes die in Aftrica than Iowa. Queens Boulevard, which was once given the grisly nickname “Boulevard of Death” because 72 pedestrians were killed in accidents there from 1993 to 2001, has gotten much safer — in part because of traffic safety improvements announced in 2004. That’s the good news. The bad news: Third Avenue and Broadway in Manhattan are now the city’s deadliest streets for pedestrians, according to an analysis released Tuesday by the Tri-State Transportation Campaign, a policy watchdog organization. From 2005 to 2007, Third Avenue and Broadway each saw 10 pedestrians killed. The study found that the deadliest route in the New York metropolitan region was on Long Island — Hempstead Turnpike (Route 24) in Nassau County, particularly where the road passes through Elmont, Franklin Square and Hempstead. Fifteen pedestrians were killed along a 15-mile stretch of the turnpike from 2005 to 2007. The second-deadliest road was Sunrise Highway (Route 27/39), in Suffolk County, with 12 fatalities, followed by Third Avenue and Broadway in Manhattan, with 10 each. Four roads in the region had nine fatalities each: Grand Central Parkway (Route 907M) in Queens; Hylan Boulevard on Staten Island; Whitehorse Pike (Route 30) in Atlantic County, N.J.; and Route 130, Burlington County, N.J.
Three roads in the region had eight fatalities each: Atlantic Avenue in Brooklyn; Route 1 in Middlesex County, N.J.; and Route 9, Ocean County, N.J. The organization called on the state to create more safe walking routes on Long Island, but praised efforts by the city’s Department of Transportation to reduce pedestrian injuries and fatalities at targeted locations. The new analysis was conducted by Ms. Ernst and by Michael Benediktsson, a doctoral candidate in sociology at Princeton. The researchers used recently released data from the National Highway Traffic Safety Administration’s Fatality Analysis Reporting System to determine which routes within each county had the highest number of pedestrian fatalities over the three-year period from 2005 to 2007. The analysis excluded interstate highways and other roads where pedestrians are prohibited. Where I live, people die in their cars.